JOHOR BARU: Nothing can be sweeter for the Tan family come Chinese New Year than having their patriarch who has been missing for eight months back home. Tan Sue Yong, 84, has been missing since May 23. His family spared no efforts in their extensive search for him, including putting up missing persons advertisements in English, Malays and Chinese newspapers but to no avail. Tan who suffers from Alzheimer’s disease, left his home in Lorong Enam, Yong Peng, for his daily walk on that day but failed to return. This is the second time Tan had gone missing. 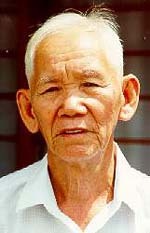 In 1998, he took off on his old motorcycle and was found two days later in Malacca. Tan was wearing a straw hat, short-sleeved white shirt with stripes and brown trousers when he left. He also carried his identification papers with him. His son Roger said his family was still hopeful that their father would return home. Tan’s 76-year-old wife, Swee Mei, still harboured hopes that he would one day show up at their doorstep. Roger said that since his father went missing, the family had printed 50,000 posters and distributed it nationwide, adding that apart from the police and Rela, village folks, political parties, non-governmental and church associations had helped conduct searches for Tan. He said with the festivities around the corner, he hoped that caring Malaysians would keep an eye open for his father at bus stations or other public places. Roger also expressed gratitude for the assistance and kind words from Malaysians and called on those who have information on his father’s whereabouts to contact the nearest police station or visit the web site (www.rtkm.com.my/dad).